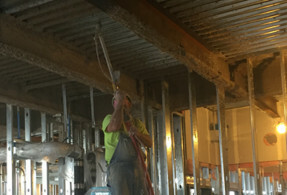 Mid-Illinois Companies, a privately-owned construction and maintenance service company, has been in business since 1970. Since our founding, our experienced technicians have earned their reputation as one of the most efficient fireproofing services in the region. Our team maintains a consistently high level of quality and a commitment to our clientele throughout the community. The good people of Central Illinois have helped us build our reputation by allowing us to work efficiently for many years. 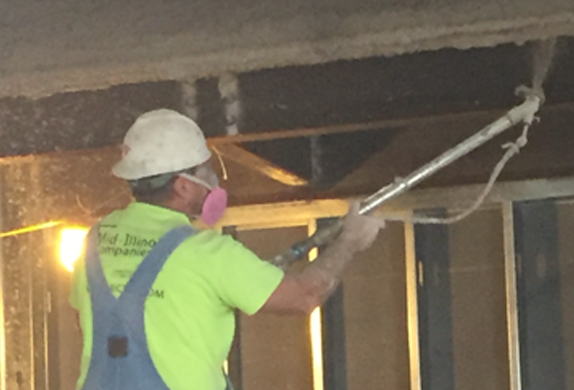 Trust no other company to get intumescent fireproofing in Springfield, IL done right the first time. Intumescent fireproofing in Springfield, IL, otherwise known as intumescent coating, increases the overall fire resistance of a structure, and especially its exposed surfaces. Our experienced team applies the fire-resistant coating directly to finished walls and ceilings, ensuring the most amount of fire protection possible. The coating works by expanding when it comes into contact with heat. By expanding, the intumescent coating effectively prevents the underlying construction material, such as building supports, columns, or interior walls, from burning and being destroyed. 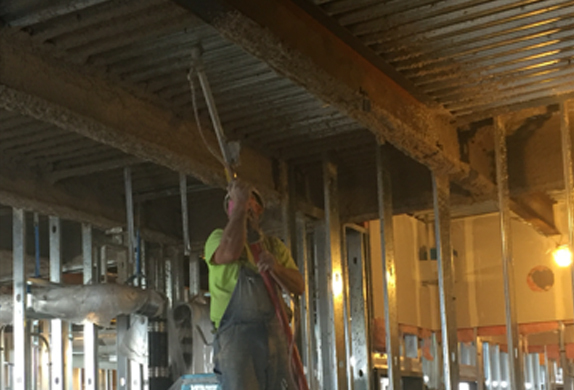 You need to apply intumescent fireproofing in Springfield, IL to protect exposed structural steel beams. The coating not only protects the material from flames but it’s also often more aesthetically pleasing than the underlying steel. As a result, your building is much safer. Our experienced technicians apply the coating directly to the steel in layers to generate a certain level of thickness. This thickness will correspond with the particular building’s code. A final layer is usually mixed with pigments to provide a desired color finish. Then, we apply the coating to wood. It will stop the spread of flames and smoke. 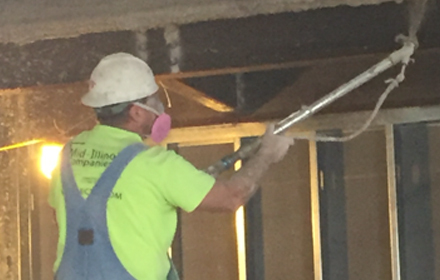 For more information on intumescent fireproofing in Springfield, IL, consult Mid-Illinois Companies by calling (217) 685-5486. We would be happy to assist you in any way possible!